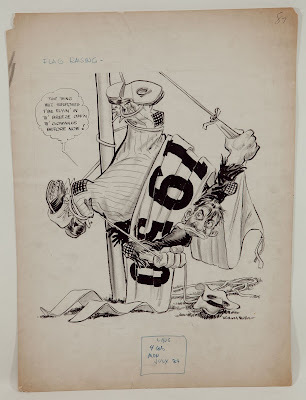 This is my final post featuring drawings from the great cartoonist Willard Mullin in SCP's current auction. See Part 1 and Part 2. This thing wuz suposed t'be fly'n in th' breeze off'n the' gowanus before now! The the Dodgers ended up 2nd in the National League that year. This early 1953 Mullin drawing celebrates a trade that some thought guaranteed a Dodger pennant. Russ Meyer is the features player here. The word around flatbush today is "The Dodgers either got their-self the pennant or a king size headache" when they latched on to riotous Russ, one round Meyer. Meyer would have a good year for us by going 15-5, second best on the team. 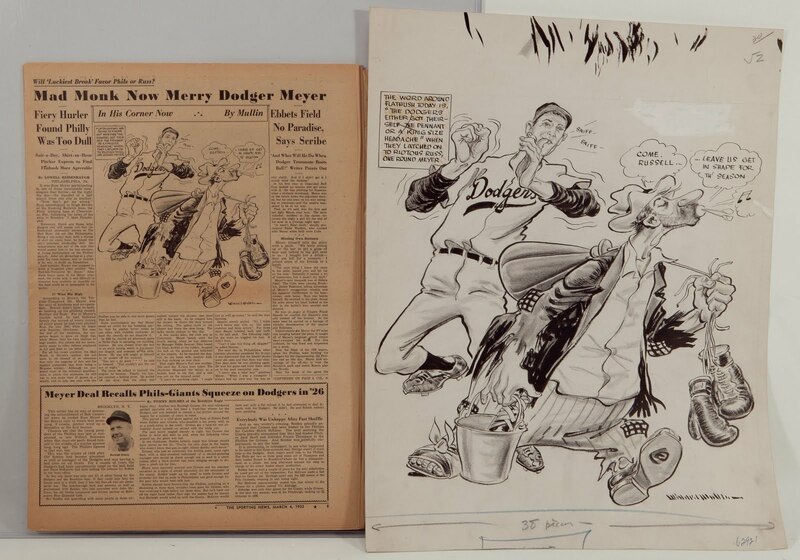 From June 28, 1950, this Mullin drawing shows Brooklyn toppling over their nemesis in St. Louis. 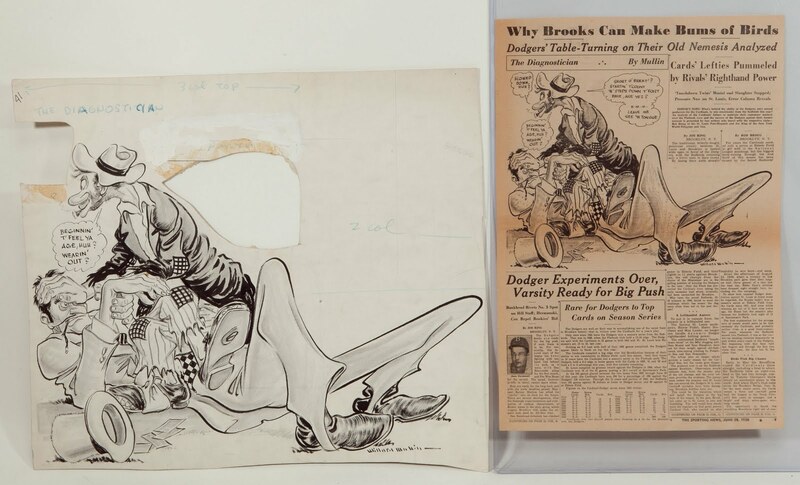 A actual newspaper where the drawing appears is beside the original drawing.